New 2019 Volkswagen Jetta 1.4T S w/SULEV. Optional equipment includes: Driver Assistance Package, Monster Mats w/Logo Rubber Mats Kit (Set of 4).... We Offer: Free Lifetime Service Loaners, Free Car Wash with Service and more. Call us at (847) 433-7900 for more detail information on this vehicle. We will NOT REFUSE any reasonable offers. New 2019 Volkswagen Jetta 1.4T SE w/SULEV. Optional equipment includes: Cold Weather Package, Monster Mats w/Logo Rubber Mats Kit (Set of 4).... We Offer: Free Lifetime Service Loaners, Free Car Wash with Service and more. Call us at (847) 433-7900 for more detail information on this vehicle. We will NOT REFUSE any reasonable offers. New 2019 Volkswagen Jetta 1.4T R-Line. Optional equipment includes: Monster Mats w/Logo Rubber Mats Kit (Set of 4).... We Offer: Free Lifetime Service Loaners, Free Car Wash with Service and more. Call us at (847) 433-7900 for more detail information on this vehicle. We will NOT REFUSE any reasonable offers. New 2019 Volkswagen Beetle 2.0T S. Optional equipment includes: Monster Mats w/Logo Rubber Mat Kit (Set of 4).... We Offer: Free Lifetime Service Loaners, Free Car Wash with Service and more. Call us at (847) 433-7900 for more detail information on this vehicle. We will NOT REFUSE any reasonable offers. New 2019 Volkswagen Tiguan 2.0T S 4MO. Optional equipment includes: 2-Row Rubber Mats Kit.... We Offer: Free Lifetime Service Loaners, Free Car Wash with Service and more. Call us at (847) 433-7900 for more detail information on this vehicle. We will NOT REFUSE any reasonable offers. New 2019 Volkswagen Tiguan 2.0T S. Optional equipment includes: Driver Assistance Package, 2-Row Rubber Mats Kit, First Aid Kit.... We Offer: Free Lifetime Service Loaners, Free Car Wash with Service and more. Call us at (847) 433-7900 for more detail information on this vehicle. We will NOT REFUSE any reasonable offers. New 2019 Volkswagen Beetle 2.0T Final Edition SEL. Optional equipment includes: Monster Mats w/Logo Rubber Mat Kit (Fender), Chrome Exhaust Tips (Set of 2), Roadside Assistance Kit.... We Offer: Free Lifetime Service Loaners, Free Car Wash with Service and more. Call us at (847) 433-7900 for more detail information on this vehicle. We will NOT REFUSE any reasonable offers. New 2019 Volkswagen Golf 1.4T SE. . We Offer: Free Lifetime Service Loaners, Free Car Wash with Service and more. Call us at (847) 433-7900 for more detail information on this vehicle. We will NOT REFUSE any reasonable offers. New 2019 Volkswagen Passat 2.0T Wolfsburg Edition. 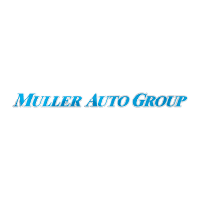 Optional equipment includes: Wheels & Sunroof Package, Frameless Auto-Dimming Rearview Mirror, Monster Mats Rubber Mats Kit (Set of 4).... We Offer: Free Lifetime Service Loaners, Free Car Wash with Service and more. Call us at (847) 433-7900 for more detail information on this vehicle. We will NOT REFUSE any reasonable offers. New 2019 Volkswagen Passat 2.0T Wolfsburg Edition. . We Offer: Free Lifetime Service Loaners, Free Car Wash with Service and more. Call us at (847) 433-7900 for more detail information on this vehicle. We will NOT REFUSE any reasonable offers. New 2019 Volkswagen Passat 2.0T Wolfsburg Edition. Optional equipment includes: Wheels & Sunroof Package, Rear Trunk Lid Lip Spoiler, Monster Mats Rubber Mats Kit (Set of 4).... We Offer: Free Lifetime Service Loaners, Free Car Wash with Service and more. Call us at (847) 433-7900 for more detail information on this vehicle. We will NOT REFUSE any reasonable offers. New 2019 Volkswagen Tiguan 2.0T S 4MO. Optional equipment includes: 3rd Row Seat Package, Driver Assistance Package, 3-Row Rubber Mats Kit (DISC).... We Offer: Free Lifetime Service Loaners, Free Car Wash with Service and more. Call us at (847) 433-7900 for more detail information on this vehicle. We will NOT REFUSE any reasonable offers. New 2019 Volkswagen Tiguan 2.0T S. Optional equipment includes: 3rd Row Seat Package, Driver Assistance Package, 3-Row Rubber Mats Kit (DISC).... We Offer: Free Lifetime Service Loaners, Free Car Wash with Service and more. Call us at (847) 433-7900 for more detail information on this vehicle. We will NOT REFUSE any reasonable offers.